Gail Anne Hamilton’s watercolour paintings capture the joys of small-town life with expressionist flair. Through her work, we fondly feel warm spring breezes swirl through our hair, we hear the rasping drag of a fishing reel casting and the line’s lure plopping in still water. We are intoxicated by the aroma of fresh-picked fruit, still warm from the summer sun, and we taste the fresh, hushed, icy air after a new snowfall. Wherever you grew up in the world, Hamilton’s evocative watercolours will summon the delights of small-town Canada’s smells, sounds, and sights. Gail Anne Hamilton was born and raised in Woodstock, Ontario, Canada, where she dreamed of being a professional artist. 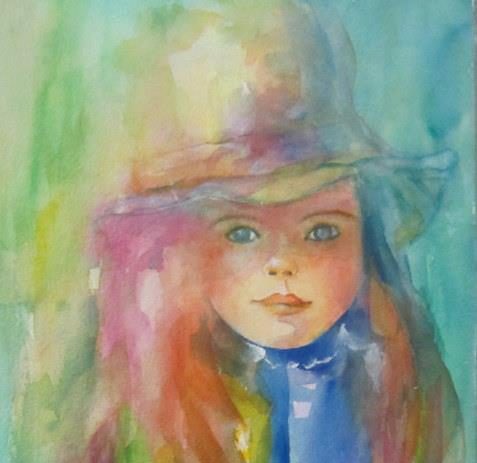 For most of her adult life she lived in Europe and in the USA, and it was while she was living in Birmingham, Alabama, that she unpacked her paintbrushes once again and rediscovered her love of watercolours. 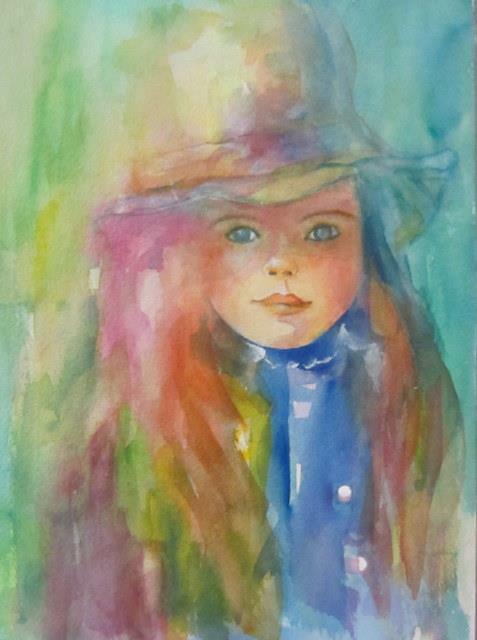 She has been creating original paintings of small-town life ever since. After travelling the world, Gail Anne Hamilton has returned to her hometown and happily settled into a quiet life with her pup, Garbo. When she’s not painting, Gail enjoys watching her grandson growing taller by the day and spending time with her two adult children. Hamilton presently paints with the Ingersoll Creative Arts Centre and Oxford Creative Arts Inc. Please contact us to purchase prints or to obtain permission for image use.